User wants to display Case data based on Account and wants to perform keyword search on the dataset in the table. It should also highlight the search input in the match records. This can be easily be achieved with the use of jQuery datatable with visualforce page. 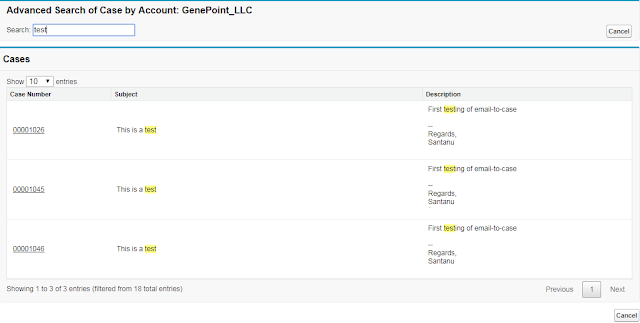 During loading of the screen, it will take id parameter and execute an SOQL query and creates a list of records.